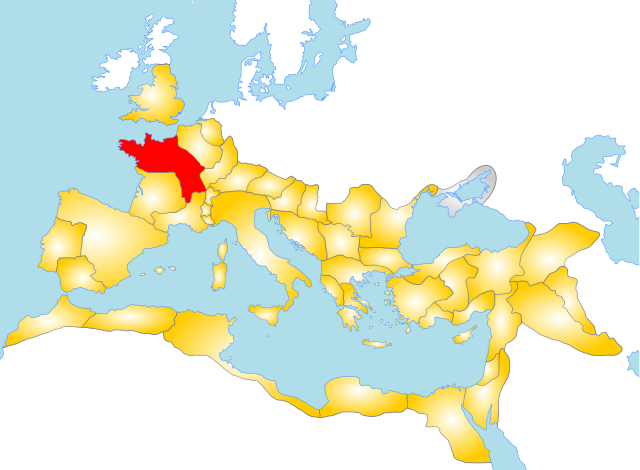 Gallia Lugdunensis was a province of the Roman Empire in what is now the modern country of France. It is named after its capital Lugdunum (modern Lyon), possibly Roman Europe's major city west of Italy, and a major imperial mint. Outside Lugdunum was the Condate Altar, where representatives of the Three Gauls met to celebrate the cult of Rome and Augustus. It was an imperial province, deemed important enough to be governed by an imperial legate. (13) Constantine I 316 A.D.